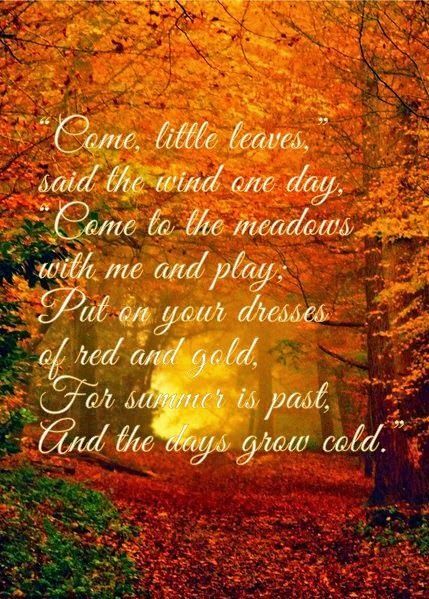 Come, Little Leaves by George Cooper "Come, little leaves," Said the wind one day, "Come to the meadows With me and play; Put on your dresses Of red and gold, For summer is past, And the days grow cold." 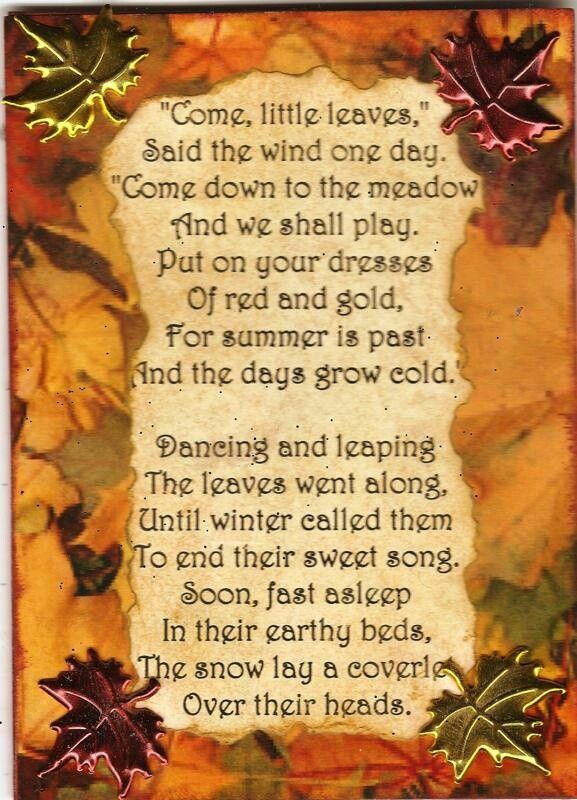 Soon as the leaves Heard the wind's loud call, Down they came fluttering, One and all. 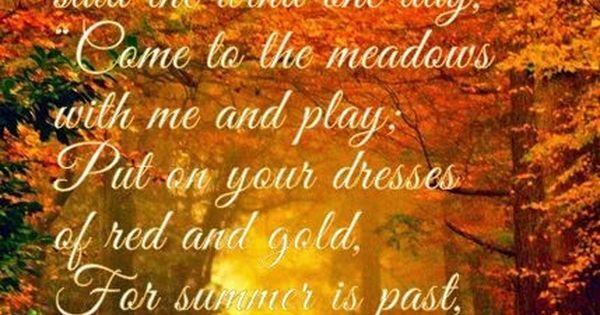 Over the meadows They danced and flew, All singing the soft Little songs they knew.